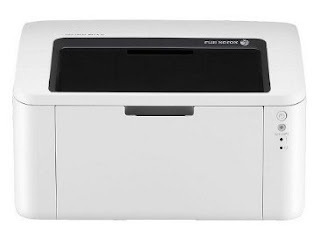 Fuji Xerox DocuPrint P115w is a single function printer (for printing) entry-level class of Fuji Xerox at an affordable price. Even so, the performance of the P155w DocuPrint printer is fairly good. This printer is suitable for home and small office. This printer can print on paper with a maximum of up to A4 size at a resolution of 2400 x 600 dpi. To speed print a document in black and white, this printer can print at speeds of 20ppm. Input tray of this printer can load up to 150 sheets of paper, and parts output tray holds up to 50 sheets of print paper at all.